TURIN – Fiat S.p.A. will cut 5,000 jobs in Italy as part of a new strategic plan that includes Chrysler building Fiat cars in North America for European markets, sources with knowledge of the plan told Automotive News Europe. Fiat CEO Sergio Marchionne has told the Italian government and unions that the company plans to increase domestic production to 900,000 units in 2012 from 661,100 units in 2009. Despite the increase, Marchionne's decision to export American-built cars to Europe for Fiat is partly responsible for job cuts planned in Italy. Chrysler said in November it will build 270,000 units a year for Fiat brand, Alfa Romeo and Lancia in factories in the U.S., Canada and Mexico starting in 2014. The cars will be sold in North America and Europe. The figure does not include 100,000 annual production of the Fiat 500 minicar in Mexico, which is destined only for sale in North America and Brazil. Fiat's job cuts will affect three plants in Italy and represent almost a quarter of the 22,000 workers employed in five assembly plants in the country. The five plants built 14 different Alfa, Fiat and Lancia models in 2009, a total that will decrease to nine models in 2012. According to the Italian newspaper la Repubblica, Fiat's plant in Mirafiori, Turin, will suffer most from the cuts with almost half of the 5,840 work force losing their jobs. Mirafiori builds the Fiat Punto Classic, Idea and Multipla models, the Lancia Musa and Alfa MiTo. Fiat is remodelling the plant to use a single line to build the Alfa Romeo MiTo and two new small minivans to replace the Idea and Multipla. This will require less manpower. Sources told Automotive News Europe that Fiat's 5,000 job cuts are on top of the already announced closure of Termini Imerese, Sicily. Fiat has said it will close Termini with the loss of 1,400 jobs by the end of 2011 when production ends of its sole model line, the Lancia Ypsilon. The sources said about 1,500 to 2,000 jobs will be cut in Pomigliano in southern Italy. By the end of 2011, Pomigliano will change from producing four Alfa models to making only the replacement for the Fiat Panda. According to La Repubblica, the Cassino plant in Central Italy will lose 500 workers. Chrysler will build Alfa Romeos in still unidentified North American plants to be sold in North America and Europe. Alfa Romeo's relaunch plan includes three to four new models that will be built and sold in North America and also exported globally including to Europe. These are the Giulia sedan and station wagon, which will replace the Europe-only 159 mid-size range in 2012; a new large crossover and possibly also a rear-wheel-drive large sedan to replace the Alfa 166. The U.S. carmaker also will build Chrysler and Dodge vehicles to be sold in Europe as rebadged Fiats and Lancias in factories in Sterling Heights, Michigan and Toledo, Ohio, in the U.S as well as in Brampton and Windsor, Ontario, Canada, and Toluca, Mexico. Early next year, Fiat's near-premium Lancia brand will rebadge four American-built Chrysler models for sale in Italy. These are the new 300C large sedan, the revamped Sebring sedan and cabrio mid-size cars as well as the Voyager large minivan. The cars will be sold as Chryslers in European markets outside Italy. Fiat brand will sell a rebadged Dodge Nitro midsized SUV in Europe by the end of the year and the Journey crossover starting in spring 2011. Fiat group, which took a controlling 20 percent stake in Chrysler last year, employs just over 80,000 people in Italy and 190,000 worldwide, according to its latest financial report. 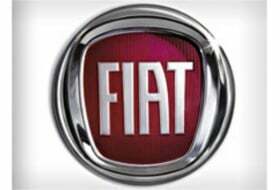 La Repubblica said Fiat would announce the job cuts as it unveils its 2010-2014 strategic plan on April 21. Fiat said in a statement that media speculation about the plan's contents was "premature and groundless."